I've spent the past few weeks here in Idaho doing work for the Baby Banana Brush company. 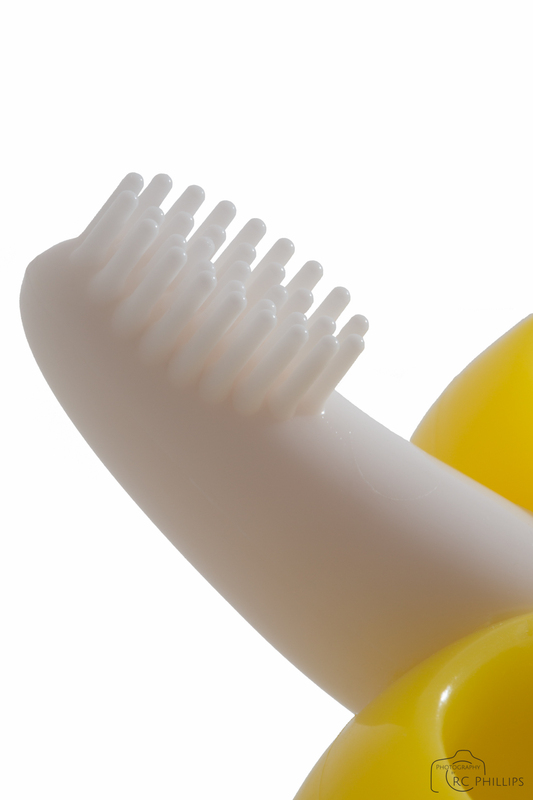 They have amazing baby teethers and training toothbrushes - all made from 100% soft, flexible silicone. Here are some shots of their products I made for them using a tabletop studio, multiple off-camera 600EX-RT flashes and some Photoshop to cut them out and place them onto a white background.